Okay, I’m celebrating early. But I hope you do remember what day tomorrow is. Put it this way, in our religion tomorrow is the equivalent of December 25th for Christians. And yes, for precisely the same reason. Tonight, all across the Valley, families will come together to eat a special meal and open presents. 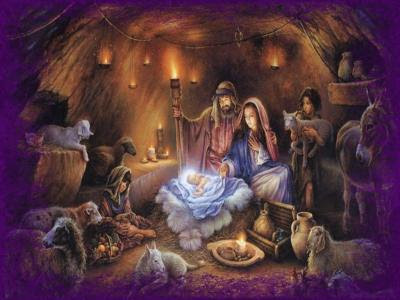 Then, at midnight, they will gather for a midnight service, singing songs like, Joy to the world, the Lord is come! Yes, friends, fifty-two years ago tomorrow, a savior was born. In the sky above the Bay Area, a star appeared. I’ll thank you in advance for all your cards and letters of support. In case you’re wondering, we’ll be having a few friends over for a quiet celebration with miso soup and a brown rice birthday cake with sugar-free frosting. Much love. Namaste. » Happy 34th Birthday, Apple!